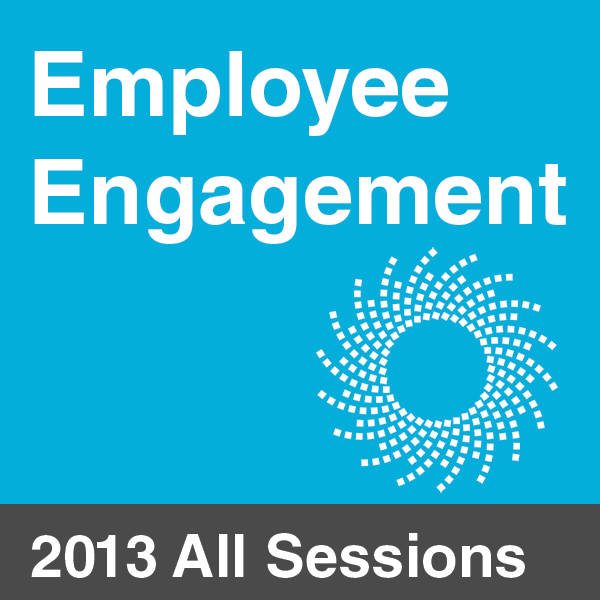 Fifteen sessions recorded live at the event. Once you have paid, login and then return to this page. A tab will appear above with links to the presentations. 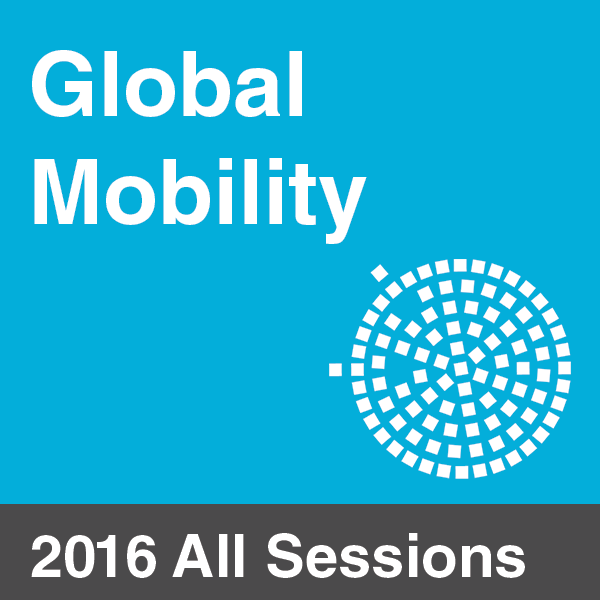 ProGlobal 2016 is Symposium’s global mobility forum covering practical aspects of assignment management as well as examining the future direction of global mobility, changing assignment types and how the global mobility role and scope is changing. This event has been specially designed to assist in-house HR professionals responsible for the management and administration of expatriates and international employees. Through a series of presentations and networking sessions, the conference will provide the latest strategic thinking and real-life examples to develop your knowledge and take back to your office. You will also hear the latest case studies from organisations that have had real results and get the opportunity to discuss your key concerns with peers during our knowledge share networking session. What could be improved / done better? 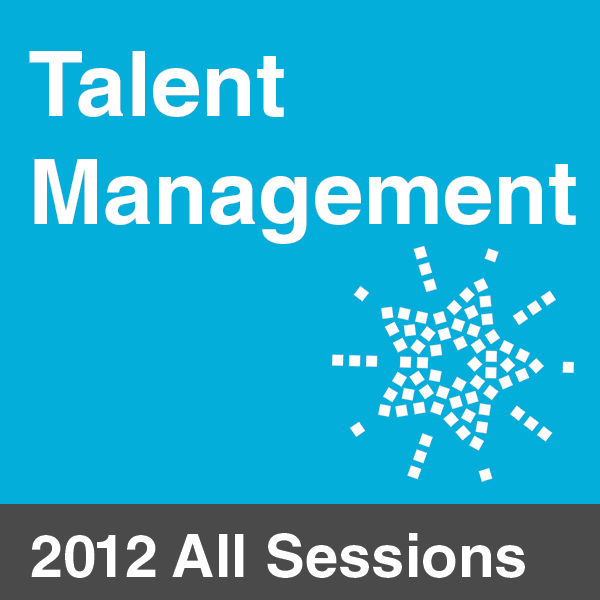 How to introduce both talent management and I&D into a young international organisation? The project is ongoing and the presentation will look at the various aspects taken into consideration. Can a global “company” line be followed, or do we have to consider each country/entity individually? The presentation aims to show the process Amey is going through to find the best approach for the parent and the international entities. What questions are being answered and how do we know if the answers are what we want? Based on our experience of setting up International Pension Plans, we look how demographic and mobility trends are influencing plan design across key industry sectors, and how employers are responding. Eluned Wallace is the Senior Manager for Global Mobility, EMEA, for The Walt Disney Company. Eluned is responsible for assignees, international transfers, commuters and business travellers across EMEA. Eluned has 18 years HR experience gained in various sectors including Construction, IT, Financial Services, Oil & Gas and Entertainment. Prior to joining Disney, Eluned was most recently Global Mobility Senior Manager at KPMG UK, and Regional Manager, Europe and Russia Caspian, for Global Mobility at Baker Hughes. Ema joined ECA International in 2008. She collaborates closely with ECA’s global Client Services, Software and Marketing teams to focus on the sales of software, and is responsible for collating client feedback and requirements and channelling these into the appropriate teams to support product development. Prior to this role Ema worked in ECA’s Client Services team for over six years and remains responsible for ECA’s clients based in Italy. Ema has worked extensively with many major multinational companies advising them on current practices in international HR and assisting clients with the management of assignments abroad, including data briefing and salary calculation work. She regularly presents at ECA training courses and webinars as well as speaking at ECA events and meetings in the UK and abroad. Ema graduated from Turin University, Italy, and apart from her native Italian is fluent in English and German. Steve is currently the Arup International Mobility Tax Manager and is responsible for the management of income tax and social security liabilities of over 500 international assignees. He has recently spent 6 months working as the Joint Head of International Mobility involved in the wider aspects of international assignments. Steve has previously worked for the Contributions Agency, HMRC, a Big4 accounting firm and, prior to joining Arup, running his own expatriate tax consultancy for 9 years. In all he has 24 years of international tax & social security experience from designing policies and processes, development of cost estimate tools, compensation planning, international payroll consulting, through to personal income tax reporting and managing exposure to revenue audits. Peter Taylor, International Corporate Distribution Manager for Zurich Corporate Savings International, is based in the Isle of Man, Great Britain, and has 23 years of experience in international employee benefits. For the last 16 years, Peter has worked with distributors and employers from Latin America, USA, Canada, and Europe, primarily in the area of pensions and savings. Prior to this, Peter worked as a relationship manager with international employers in Asia for 5 years, where he was responsible for our portfolio of corporate savings and risk business in Hong Kong and Singapore. Peter is a graduate of Lancaster University and Brunel University and is a member of the Chartered Insurance Institute. Sharon has over 14 years experience in Global Mobility and is the EMEA Regional GM Lead for HSBC. Also responsible for the UK domestic programme, Sharon leads a high performing regional relationship management team across the UK, France & the UAE, whose strategic objective is to deliver high quality consulting to our key stakeholders and to our customers – international and domestic – in the EMEA region. Managing talent in mobility and return on investment as well as leading and implementing change across the region are high on the agenda in the current economic climate. Prior to HSBC, Sharon worked in the Cruise Line industry for 9 years and has travelled extensively throughout the globe. Anett joined Amey’s International Management team in November 2013. She owns all theI nternational HR policies and supports growth in new markets as well as continuous improvement and innovation in the international HR area. She holds an MA in International Human Resource Management from the University of West England.Prior to Amey, Anett worked for Cartus as a Global Account Manager for seven years where she was involved managing client relationships on a tactical and strategic basis, taking responsibility for the ownership, development and implementation of client accounts. Anett has over 10 years’ experience in HR working in Norway for Accenture (Anderson Consulting), Halliburton and Schlumberger. Lisa Johnson, Global Practice Leader, Crown World Mobility’s Consulting Services. Lisa is responsible for supporting Crown’s clients and account teams with Global Mobility program and policy design and enhancements. Before joining Crown in 2012, she worked extensively in linking mobility to talent management and assignment related ROI strategies, conducting industry-specific research and leading client-driven consulting engagements. Her most recent research project focused on linking Mobility to Diversity & Inclusion strategies. In recent years she has also studied the impact of the millennial generation on the mobility industry and assignments into challenging locations. Additionally, she brings a background in global leadership development, intercultural training and change management initiatives.Lisa is a regular speaker at industry conferences in Asia, EMEA, Latin America and North America. Born in Japan, and having lived and worked in Central America and Spain, Lisa currently lives in Brooklyn, New York. Julie Harrington started her career in global mobility management in 1999. Julie worked predominantly in the financial services industry, managing programmes and advising regardingexpatriate workforces for Credit Suisse, Goldman Sachs, EY and JP Morgan. Today she works at K2 Corporate Mobility advising businesses on the strategic development of their Global Mobility programmes. Mark Derksen started his career as a Tax advisor with PWC for International clients, was an in house Global Mobility Manager for Deloitte in the Netherlands and worked 3 years as Global Mobility Lead for Unilever in South Africa before joining Arup in London as Head of International Mobility in November 2015. Mark has overall responsibility for the assignment programmes for some 500 employees in more than 50 countries worldwide. Jurga is a Partner at Deloitte LLP and heads up Deloitte’s UK immigration business. She has over 14 years’ experience as an immigration specialist, and before joining Deloitte was a partner at another‘Big Four’ organisation. Deloitte’s global immigration team includes 1100 global professionals with 50+ dedicated professionals in the UK alone. The business covers over 131 countries and is growing at a rapid pace.Fluent in several languages, Jurga leads large global teams providing strategic corporate advice to multinational companies. When it comes to immigration, Jurga has experience at all levels and offers her clients guidance on how to combine immigration compliance with their business needs in the most efficient way. She advises global organisations across multiple industry sectors, including engineering, oil and gas, financial services and others.Jurga has been listed as “Outstanding in Field” by Spear’s magazine and awarded the Power Woman 2015 – Woman of the Year Editor’s choice award by Citywealth. She regularly presents at international conferences to a variety of audiences, and often provides comments in the media on UK immigration and private client topics. Jeffrey Young a member of the White and Case Strategic Sourcing and Procurement team. Based in London, he helps drive key sourcing initiatives for the Firm. He has spent 10 years in professional services consulting in IT, Finance and Operations and Strategic Sourcing. More recently, he has spent the last 5 years in-house as a Strategic Sourcing and Procurement specialist for Linklaters and now White and Case. He is a level 5 qualified CIPS (Chartered Institute of Procurement and Supply) member and is half way to becoming level 6 MCIPS. He holds a business degree from the University of Illinois at Urbana-Champaign (UIUC). The one aspect of his role he enjoys is the variability of the projects and the people he works with. He likes a challenge and gets bored easily. Outside of work, he enjoys spending time with his wife and daughter and getting closer to figuring out what his purpose in life is. Asma is an expert in the field of global immigration with specialist technical knowledge of most regions including the Middle East, Asia, Europe and Africa. She started her career with one of the world’s largest law firms, advising multinational companies on immigration policies and procedures. Asma is highly recognised for her innovative thinking and collaborative approach to finding unique and strategic solutions to help clients achieve their business objectives. During the course of her career, she has developed strong relationships with governments and immigration departments around the world, regularly meeting with policy teams to represent the interests of businesses. Asma is also the founder of the multi-award winning firm, Newland Chase in 2004 and since the acquisition by CIBT in 2014, she is now the Managing Director for the Global Immigration business.